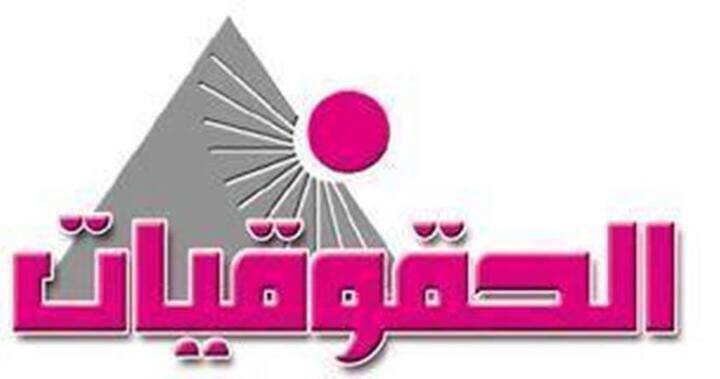 The Association of Egyptian Female Lawyers expresses its rejection of the American interventions in commenting on the “communication” case in which the former president Mohamed Morsi and a number of Muslim Brotherhood leaders are accused. Especially, as this case is in front of the judiciary and should not be commented on to not influence the judges’ judgments. The association also calls for ceasing any attempts to justify charges attributed to Morsi and other accused. The association also asserts that the press release issued by the American Ministry of Defense concerning the communication between the American Minister of Defense Tishak Hagal and the lieutenant general Abd El Fattah El Sisi the Egyptian Minister of Defense. Hagal’s expression of his worries concerning the charges attributed to Mohamed Morsi is unacceptable and contradicts the international criteria of human rights and diplomatic norms. The association also condemns the intervention attempts in the internal affairs and defending the Muslim Brotherhood and do not wait the court sentence. This matter recalls question concerning the authenticity of charges attributed to Morsi and other accused in spying with Palestinian Hamas Movement, the Lebanon Hizab Allah and the American intelligence agency, and that there are attempts and pressure on the Egyptian Military Institution in order to cease the case due to the reputation of the current American administration. The association astonished by this press release by the American Ministry of Defense and detecting the call with the Egyptian minister of defense to express the American ministry and administration concern concerning the charges attributed to Morsi; especially, as these declarations are considered unconcealed intervention in the Egyptian concern and the cases in front of the court; the matter which is totally refused. In addition, there is a necessity to “leave” the case in front of the judiciary to decide it and cease the attempts of intervention and acquittal the Brotherhood leaders. The association astonished of the American administration interest in brotherhood since overthrowing Mohamed Morsi and taking quick situation towards the current authority in Egypt which have not been witnessed before after Mubarak overthrowing who was described by the American administration as “strategic ally”, the matter which raises doubts concerning the relation between the Muslim Brotherhood and the American administration. Mrs. Rabha Fathy, the chairperson of the association of the Egyptian Female lawyers, said that the attempts of doubting the trails of Morsi and a number of Muslim Brotherhood leaders assert the American administration intransigence in dealing with the current ruling authority in Egypt and the attempt of forming the transitional stage in Egypt according to the American inclination. She continued saying that the criticisms forwarded to the Egyptian government concerning accusing Morsi of spying as being step that does not encourage going ahead towards democratic transaction is incomprehensible, especially as this period witnessed the constitution drafting and setting its referendum, and setting the parliamentary and presidential elections. She also asserts the Egyptian government going ahead in achieving the Egyptians aspirations towards better constitution and more stable society. It is necessary to assure that the transitional period is managed according to the Egyptians’ aspirations and not according to other countries’ desires and that referring accused, regardless their positions, to just trail is an important matter that should be praised and not to be criticized. Mrs. Rabha Fathy assures that these unacceptable declarations come in coincidence with declarations published by “New York Times” attributed to Sara Lya Wetson, the executive manager of MENA in Human Rights Watch, saying “accusations directed to Morsi and number of Muslim Brotherhood leaders of spying with Hamas movement and Hizib Allah in very fictional and that the government is trying to claim that the Muslim Brotherhood is terroristic and directs violence acts despite the absence of evidence. These accusations assure how much the government seeks to destroy the Muslim Brotherhood group as political opponent”. The matter which reveals clear interventions in the Egyptian concern and violates the international criteria of human rights, and obvious mixing of the organization’s political and human rights situations. This is unacceptable matter which the Egyptian government should firmly deal with, even if the matter requires depriving the organization from following up Morsi’s trail and the human rights conditions on Egypt after revealing its political its political face and defending it, which is unacceptable from a human rights organization. Fathy pointed out that what is done by Muslim Brotherhood comes under criminal and terroristic acts and that the Egyptian judiciary is the only responsible for the trails of the accused concerning what they have been committed in society, and that it is unacceptable that the organization claims that the government tends to describe the group as being terroristic among all these violence acts. The matter which will not be ceased unless inserting the organization on the terroristic organizations and account their leaders of the violence victims in the last weeks by the group’s supporters.